We like to continuously surprise our customers with a variety of offers. Stay tuned for the latest news about your favourite brand of water. 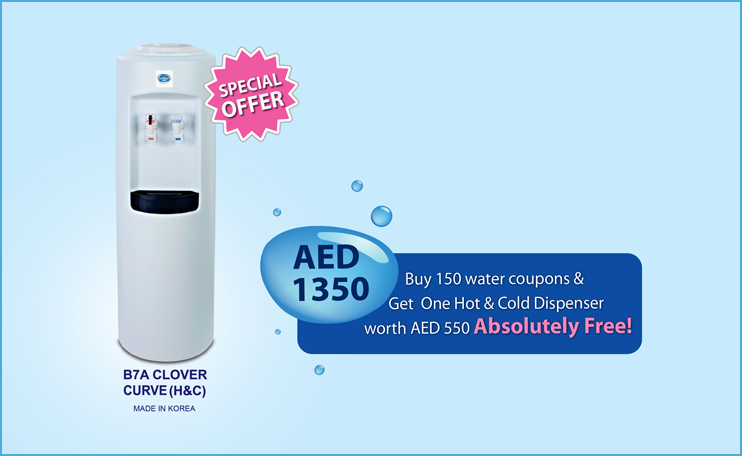 Synonymous with pure, healthy drinking water, Al Bayan has become a household name to over 150 nationalities residing in the UAE and Sultanate of Oman since 1999. 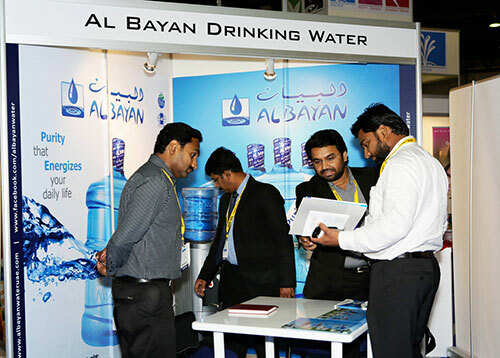 Having earned the reputation of being a preferred brand in the 5-gallon bottled water category, Al Bayan Water has ventured into PET bottles for the retail segment as well. The PET bottles will be available in several convenient sip-sizes for customers-on-the-go, who have come to love the unmistakable taste of Al Bayan Water. Established in 2004 and listed on the Abu Dhabi Securities Exchange (ADX) the Agthia Group, a leading food and beverage company, consists of a world-class portfolio of integrated businesses and brands. • Agri Business, located in the UAE, is responsible for the management, manufacturing, distribution and marketing of Grand Mills, the UAE’s high quality our, and Agrivita which makes the UAE’s leading animal feed products. • Consumer Business is responsible for leading food and beverage brands manufactured in the UAE, Egypt and Turkey: Al Ain Water, Capri-Sun juices; Al Ain tomato paste and frozen vegetable products; Yoplait; Pure Natural tomato and chili paste; and Alpin natural mineral bottled water. 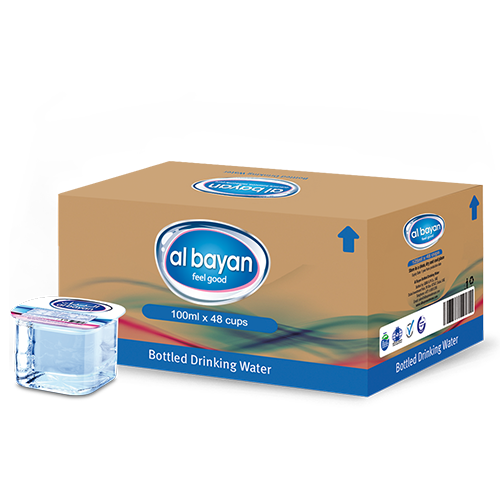 One of the largest homegrown brands in the UAE and Oman, Al Bayan Water has served loyal customers since 1999 through its wide distribution network. In recognition of quality and service standards, Al Bayan Water has been awarded the prestigious ISO 22000 and ESMA certifications. 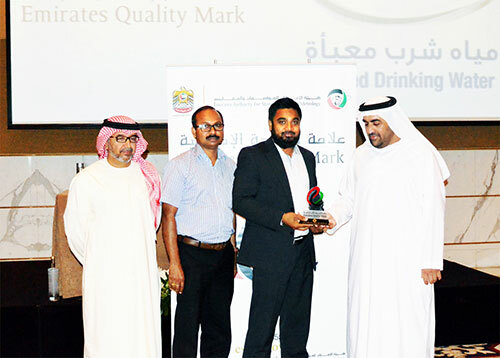 To set the standards for the water industry, surpassing local benchmarks with second-to-none best practices, which define the future of the bottled water category in the region. Our values are built on key human attributes that are cherished by those very people, be it as customers or by those who help us deliver them. We use our knowledge and expertise to ensure our top quality and trusted food and beverage products are accessible to everyone. As employees of One Agthia we work together. Finding more ways to identify and meet the needs of our community, consumers and customers. We embrace diversity. We are driven to succeed and committed to being the best. We are determined to create value through everything we do. We know innovation drives economic change. So our commercial and inventive spirit influences everyone at Agthia, and everything we do. We are experienced and straightforward. We make sure everyone working with us has the opportunity and encouragement to do the best job they can. Delicately balanced, and persistently pure perfectly encapsulates the high standards we hold our products to. At our plant we tenaciously follow the strictest quality control methods that begin from procuring FDA-approved raw materials, and the most stringent water purification and mineral injection processes. We procure our raw water from the Government of Dubai’s DEWA and have invested in special pipelines with integrated 10-micron cartridge filters, which carry the water from DEWA directly to us. We put the water through an unyielding multilayered filter, comprising of Anthracite, Gravel and Sand. 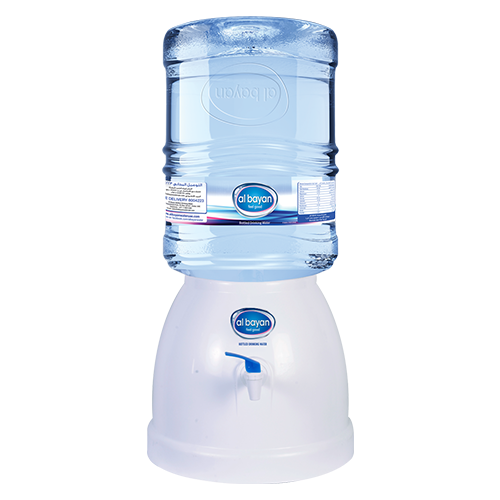 This filter removes the suspended particles and clears the turbidity, increasing the clarity of the water. The water is then passed through a carbon filter to remove organic compounds, chlorine as well as taste and odor producing chemicals. Once the water has scientifically passed this incredibly stubborn step, we store it in a special Treated Water Storage Tank made from the highest grade of stainless steel. Do you know how big 1 Micron is? The human hair is about 75 microns in width while bacteria can be between 3 and 0.2 micron in size. We have conscientiously instituted rigid checks to trap impurities, remove unwanted sediments and to disinfect, ensuring nothing but delicately balanced, pure water. Apart from our stringent process that makes us unique, it is the delicate mineral balance we infuse into treated water that makes the unmistakably Al Bayan. We have even partnered with Merck from Germany for the best quality minerals. In the pursuit for absolute purity, the treated water is disinfected one final time in a stainless steel ozone tank before it is bottled. Polycarbonate bottles and the caps are manufactured on our premises. These are then stored in extremely hygienic conditions. Bottles undergo a rigorous 4-stage body wash and a 28-stage internal and external cleaning process before they are filled. Finally, sanitized caps are fixed and safety seals are attached. The entire process is free of physical human intervention. 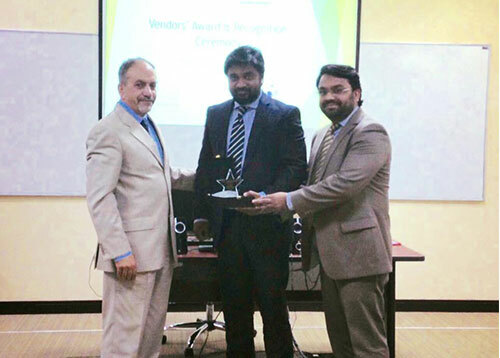 Al Bayan has been awarded the prestigious and highly coveted ISO 22000 certification. 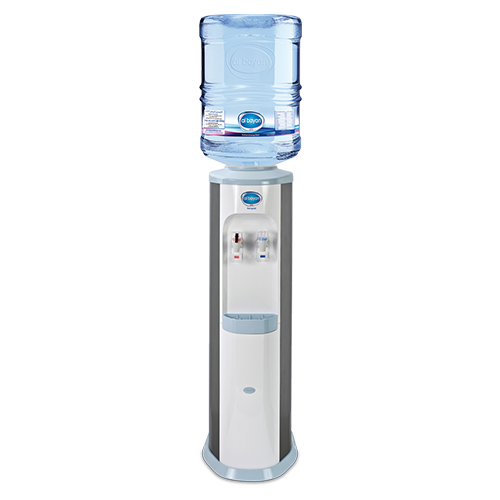 Being an active member of Asia Middle East Bottled Water Association and Water Quality Association, Al Bayan is at the forefront of continually implementing best practices. This commitment is reflected at our state-of-the- art production facilities in the UAE, which conforms to the rigorous quality policies set by the World Health Organization. Emirates Standardisation and Metrology Authority (ESMA) is a Federal UAE Authority, established by UAE Federal Law (28), 2001. ESMA's strategy aims at supporting the national economy by establishing benchmarks of excellence and quality. Al Bayan Water is proud to be amongst 18 brands out of 154, which comply with the stringent quality regulations of ESMA. Your body performs many critical functions. Every single organ, internal or external, is of significance. Despite knowing this we tend to take our bodies for granted. The common excuse is, ‘where is the time to care?’ The simple solution is to drink plenty of water. Your body is 55 to 60 percent water and the singular action of consuming water regularly serves as an important measure towards self-care. Water has the unique ability to revive you physically and mentally. Here are a few examples of the many ways you can feel good by simply nourishing your body with plenty of water. Since your brain is mostly made of water, drinking water continuously helps you concentrate better, be more alert and boosts your energy levels. Besides being the only zero-calorie thirst quencher, water helps remove by-products of fat, diminishes hunger (water is a natural appetite suppressant), lowers food intake if consumed before a meal by leaving you full, and raises your metabolism. Gets rid of waste through sweat and urination, which reduces the risk of kidney stones and UTIs (urinary tract infections). Water moisturizes your skin, keeps it fresh, soft, glowing and smooth. It helps reduce wrinkles and is the best zero side-effect anti-ageing treatment around. Water is essential for digestion and also prevents constipation. 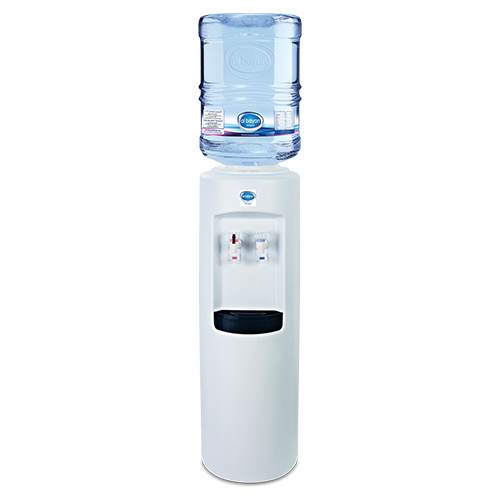 It is a proven fact that people who drink plenty of water are less likely to fall ill. Drinking plenty of water helps fight against flu, cancer and other ailments like heart attacks. 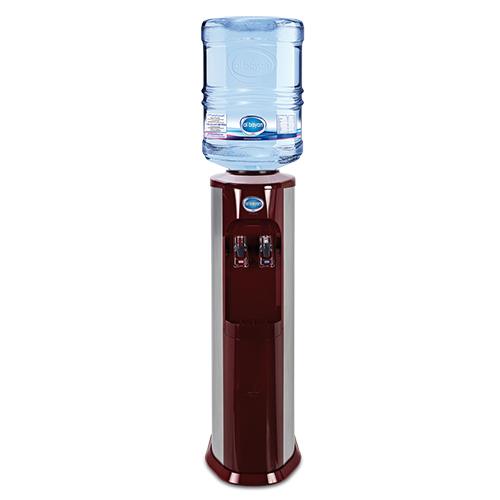 Helps relieve and prevent headaches and migraines (even back pains) that are commonly caused by dehydration. Proper hydration helps keep joints lubricated and builds elasticity in muscles, thereby making such pain less likely. When the body is functioning at its best, you will naturally feel good with lesser reasons to worry, and more to be happy. Q. How can I avail delivery service from Al Bayan? A. Please call our Customer Service Number 600 535356 or you can download Al Bayan App. Our Customer Service Executives will arrange the service at the earliest. Q. What is Al Bayan App? A. An App that lets you efficiently and conveniently order water and manage its delivery, whether it is to your home or office. It is available in android and App store. Q. What is Product range of Al Bayan? Q. What is Al Bayan water card? 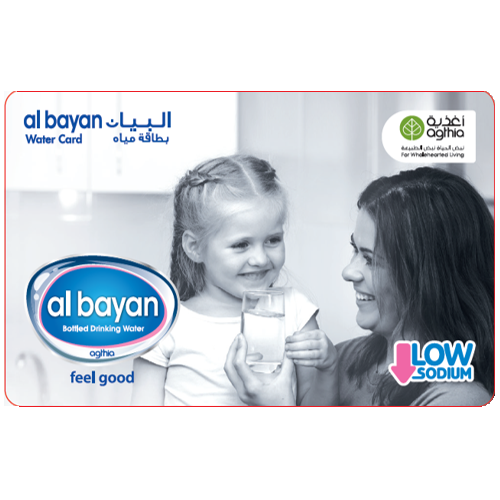 A. Al Bayan water card is a pocket-sized card or virtual card. It replaces Al Bayan coupon system and acts as electronic wallet. Q. I am an existing customer and do not have water card. How can I sign up? A. Please contact Customer Care on 600 53 53 56 between 7 am to 7 pm (on Friday, from 9 am to 4 pm). Our Customer Service Executive can issue water card for you. Q. How can I recharge my wallet via APP? Q. How can I purchase Al Bayan Products via APP ? Q. How can we purchase AED 180 Coupon in Al Bayan APP? A. Recharge your wallet with AED 200 and choose Smart Card Top up 180 in Products. Balance AED 20 will be accumulated with the next top up. Q. Can I pause Al Bayan Service via App while I am on vacation? A. Yes, you can. Go to Delivery > Pause Delivery > Select your Duration. Q. How can I place order for one 5 Gallon bottles for the first time via APP? A. Go to Products and place order for 1 bottle. Q. Can I Pay for my friend via Al Bayan App? A. Yes, you can, Go to “Pay For Friend” > Enter friend’s water card number > recharge using your Credit / Debit card. Q. Where can I buy the PET bottles from? A. Al Bayan PET bottles are available across all leading supermarkets and groceries in the UAE and Oman. Alternatively, order via Al Bayan App. Q. 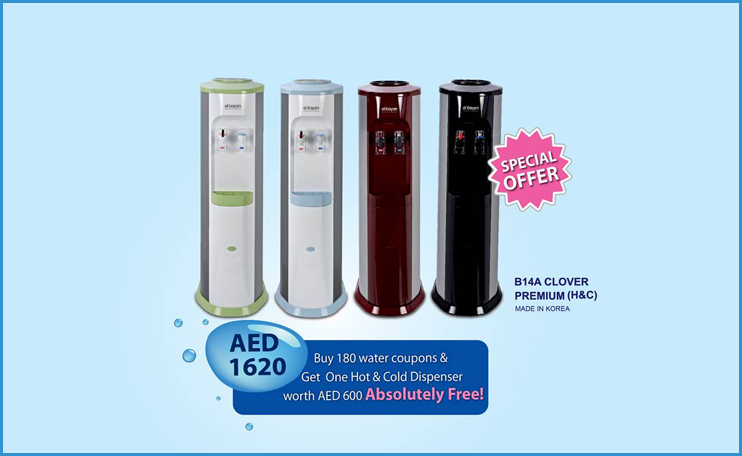 Why should I buy Al Bayan Water when there are low-priced brands available? 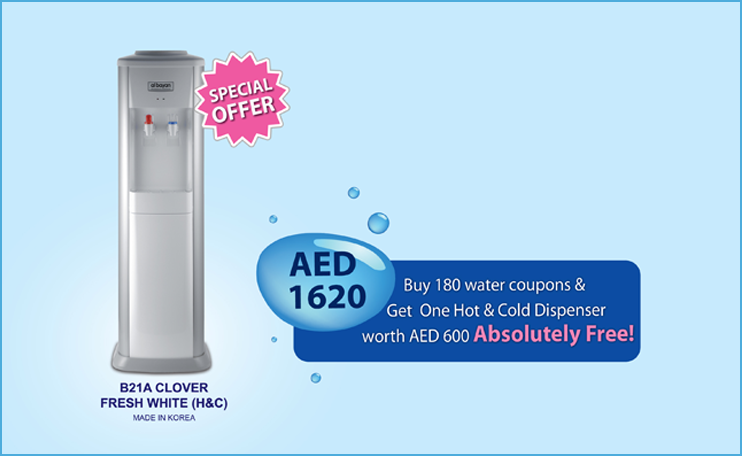 A. Al Bayan water assures the quality of high class and adherence to global standards. 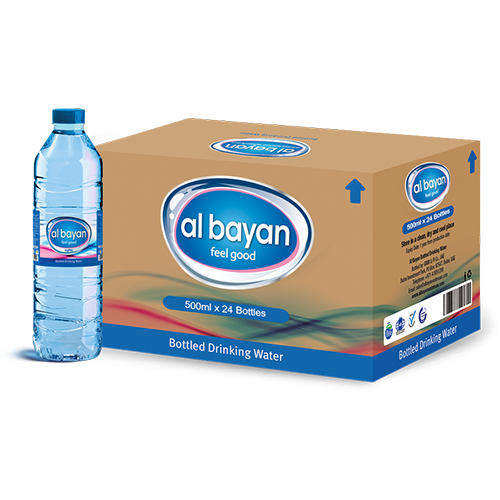 Al Bayan never compromises on quality and is pledged to abide by hygienic standards from the point of plastic bottle production to delivery vans. Our meticulous water treatment process ensures you get superior tasting and healthier drinking water without the risk of contamination. Q. What are the material your bottles made of? A. 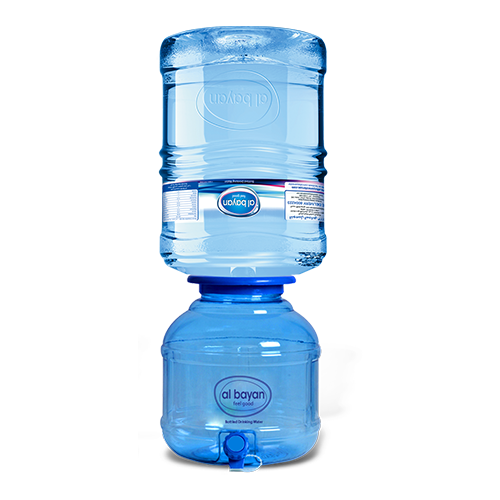 Our bottles are made of Polycarbonate within FDA approved grade, which is absolutely safe and durable material that preserves the integrity of water. In fact, it is the same grade of polycarbonate that is used to make infant feeding bottles and the other baby products. Q. 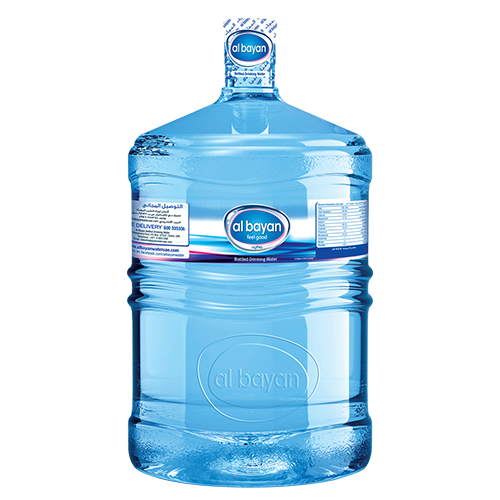 Can Al Bayan 5 gallon bottles be used on standard dispensers? A. Yes, it can be. Q. 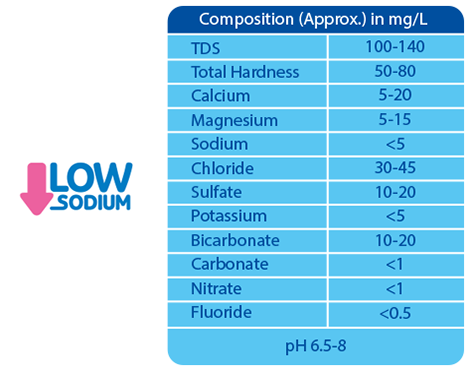 What is the Sodium level in Al Bayan Water? Q. 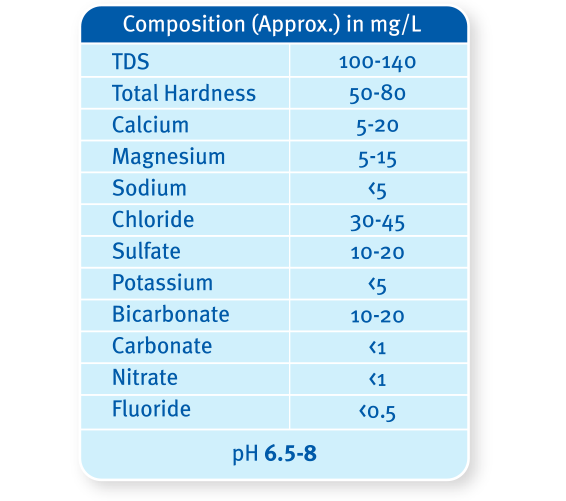 What is the mineral composition of your water? Q. Does Al Bayan provide free dispensers along with the big bottles? A. 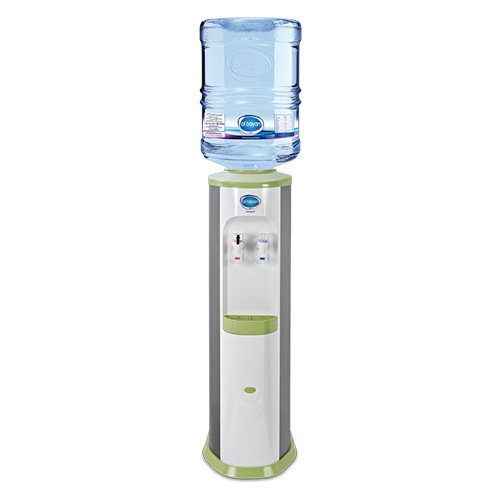 As part of our promotional activities, we provide our customers a free dispenser upon subscription of our 5-gallon bottles. 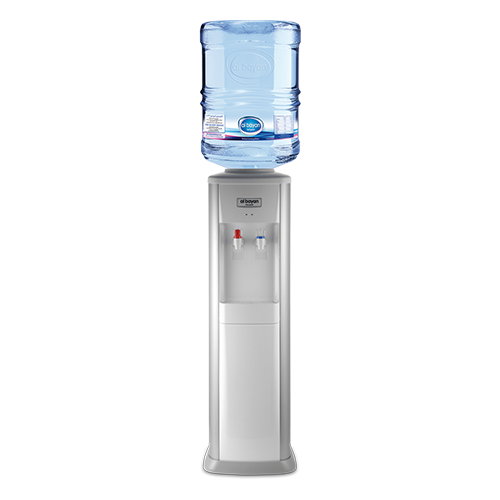 Aside from that, we have a wide a range of hot & cold dispenser schemes. 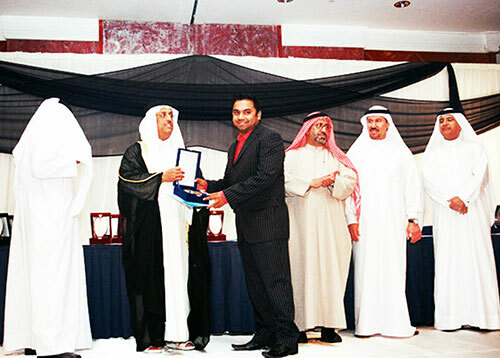 Please contact Customer Service on 600 535356 to know more about the schemes and promotions. Q. Can I use the same Al Bayan water coupons in case I change location from one emirate to another? A. If your new location falls within our delivery areas, you can definitely use Al Bayan Water coupons. We are constantly looking for talented go-getters to add to our growing team of enthusiastic individuals. Introducing the Al Bayan App, the smarter way of getting water delivered to your home and office. Feel good at the click of a button. 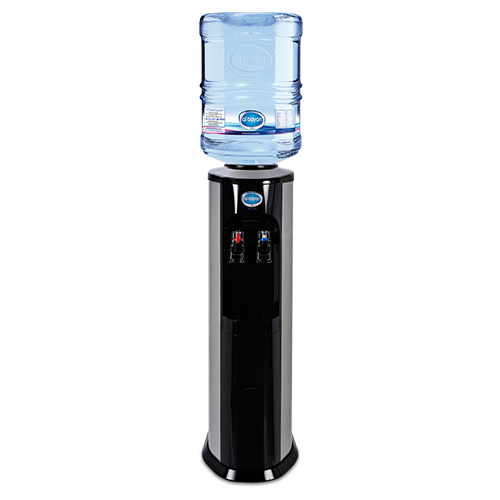 Isn’t it time you ordered water more smartly? Introducing the MyAlBayan app, the smarter way to get water delivered to your home and office. Say goodbye to the hassle of finding change or the worry of leaving coupons outside your door. Simply download the App/get the Water Card, complete a one-time registration, fill your e-wallet – and get water delivered! Place an order in a few easy clicks without having to contact anyone. You can even track your order and get real time on-app updates. Conveniently, you can pause and resume the app as you wish. Cashless and effortless, the new MyAlBayan promises secure online payments when you submit your credit card/bank details. All payments on your checkout page are done through SSL connections to ensure credit card number encryption. This smart App automatically mines customer loyalty, generates a reward index, and updates you on all promotions and discounts. The App also provides a complete range of all our products and even lets corporate customers use their promo code to for discounted rates. Be smart, download the MyAlBayan app and quench your thirst quicker!